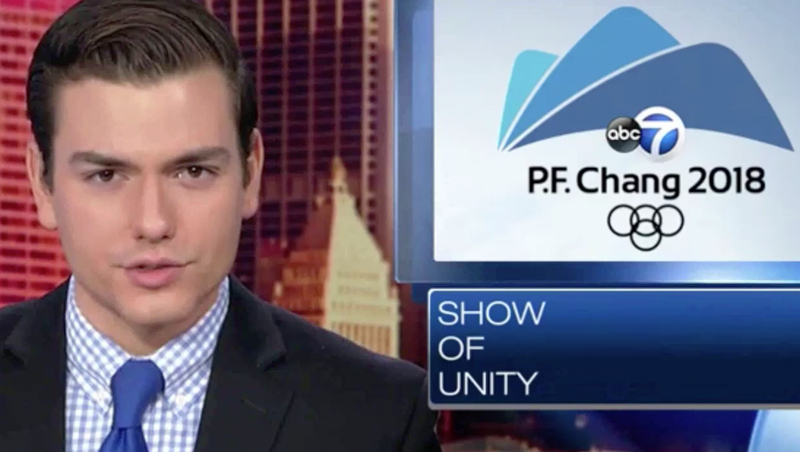 WLS, the ABC O&O in Chicago, made an embarrassing error in an on air graphic that confused the 2018 Winter Olympics in PyeongChang, South Korea, with Asian restaurant P.F. Chang’s China Bistro. During a story about the “show of unity” between North and South Korea, weekend anchor Mark Rivera appeared on camera next to a graphic that, at first look, appeared to be attempting to show NBC’s Winter Olympics logo. First, and foremost, the name “PyeongChang” has been replaced with the restaurant name. Second, the mountain-like shapes above it appear to be a rather poor replica of NBC’s official look, with the colors and shapes altered. Finally, the Olympic rings below have also been tweaked with only four total instead of the official five. A WLS spokesperson told the Chicago Tribune that the graphic shown was originally designed for a “satirical” sports piece where viewers were encouraged to invent their own Olympic sports — but then somehow found its way next to Rivera for a serious news story. Overall, the whole use of P.F. 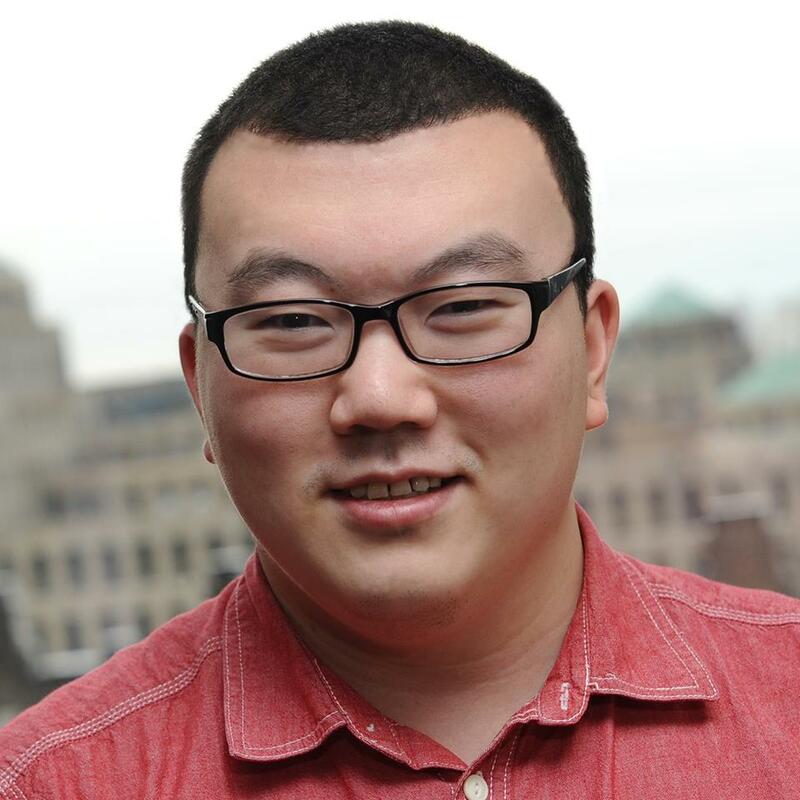 Chang’s stereotypically sounding Asian name could also be viewed as a bit insensitive. Not only does P.F. Chang’s bill itself in its logo as a “China bistro,” but one of its founders was from China — and implying China and South Korea are interchangeable is a common generalization. ABC 7 Chicago has not responded to NewscastStudio’s request for comment.